Seward Neighborhood Garage Sales are almost here! Register yours today. Believe it or not it is time to register for the Seward Garage Sale Days. The Seward garage sales are scheduled for May 17th and 18th with May 19th a rain date. I know you sold everything you possibly could last year or the year before but I am sure some of you may have collected a few extra items over the last year(s). Are you planning to host a Garage Sale? If so, it is time to register. You can either register online or via a paper form, and you can also either pay online or mail/drop a check in to our office. If you decide not to host a Garage Sale feel free to donate items to the SNG garage sale. We will be holding a fundraising sale at 2901 E. 22nd St. including a bake sale, water and soda sales. Please stop by to chat with neighbors, browse or pick up a baked treat. We will be accepting donations May 5th and 12th from 10am – 12PM at the alley garage of 2536 Seabury Ave. We would love your gently used items. We have decided not to accept electronics, DVD’s or magazines and non-fiction books. The only clothes we are accepting are baby and toddler items. Large items can be dropped off at the sale either Thursday May 16th or Friday May 17th. This entry was posted in Uncategorized and tagged Community, events, garage sales on April 24, 2013 by Peter Fleck. Agriculture, urban beekeeping, mushroom production and more. Garden art and scavenger hunt for the kids! More details at Growing Lots Urban Farm site. This entry was posted in Uncategorized and tagged Community, Gardens on April 24, 2013 by Peter Fleck. …beginning in 2013, Growing Lots is partnering with the Brian Coyle food shelf to distribute dedicated CSA shares each week to local families in need. Located just a mile up the road from our farm in Cedar-Riverside, the Brian Coyle Community Center serves one of the most diverse and densely populated neighborhoods in the state. Check the discussion at the Seward Neighbors Forum. 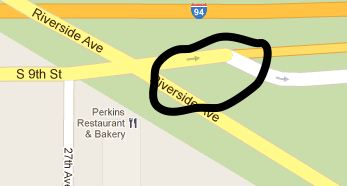 There is a small green space across the street from the Perkins at Riverside & 9th that was created as part of the Riverside reconstruction project, to shorten the pedestrian crossing distance on the east side of the intersection. 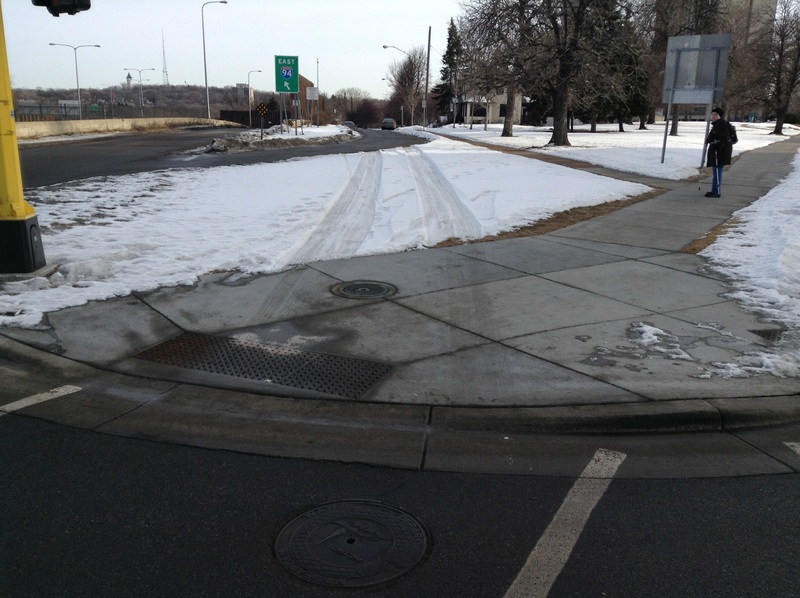 This winter, nearby residents have noticed that a small number of drivers are actually driving over this green space. See the map if you’re not sure where this is and also take a look at the photo which shows the tire tracks across the divide. There is an orange cone there now to discourage more through traffic. Orange cones are ugly and we (the Seward Community Development Committee) think some kind of public art and trees would look good in place of the cone. So we are looking for ideas and even proposals with a general budget, plus ideas on where we might get funding for the project. Please send ideas and proposals to SNG Housing Coordinator Doug Wise, doug@sng.org. We can also use the commenting system here to gather ideas and you can join the discussion at Seward Neighbors’ forum. This entry was posted in Uncategorized and tagged Community, crime & safety, Traffic on April 5, 2013 by Peter Fleck. Are you the kind of person who loves to pull out a book in a bar? Or do you enjoy getting buzzed while you read? Listen up nerds, because we have the event for you. On Tuesday June 12 the Triple Rock Social Club, in partnership with Boneshaker Books, will host an evening of Sustained Silent Reading. Part of Boneshaker’s 30 Days of Reading, the event is an opportunity to enjoy an evening of reading socially. The event will go from 7 to 9pm and is free (21+). Triple Rock is located at 629 Cedar Ave S in Minneapolis. 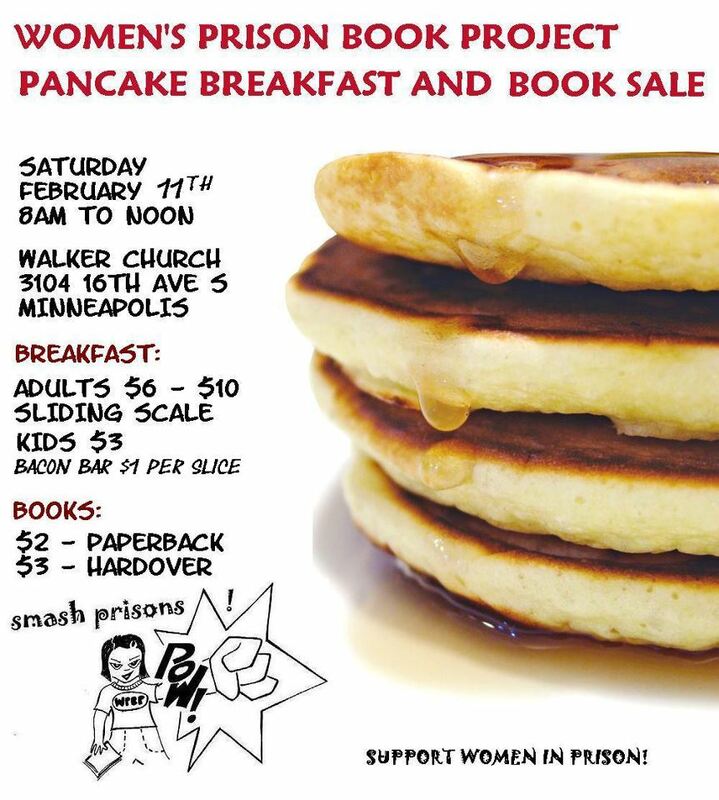 Boneshaker Books is a progressive and radical nonprofit bookstore located in Minneapolis. Thirty Days of Reading is a celebration of books during the month of June, presented by Boneshaker. Thirty Days of Reading encourages the public to rediscover their love of reading, explore new literature and connect with others at a variety of literary events. For more information about Boneshaker and 30 Days of Reading, visit www.boneshakerbooks.com. This entry was posted in Uncategorized and tagged Community, events on June 7, 2012 by Peter Fleck. This entry was posted in Uncategorized and tagged art, Business, Community on September 16, 2011 by Peter Fleck.